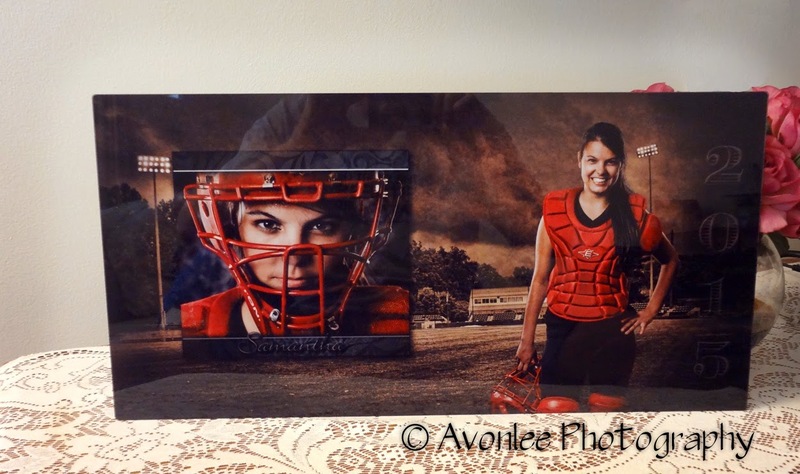 The above Sports Composite was created for a local High School Senior. It consists of two images captured at our studio merged with an image from a local baseball field. 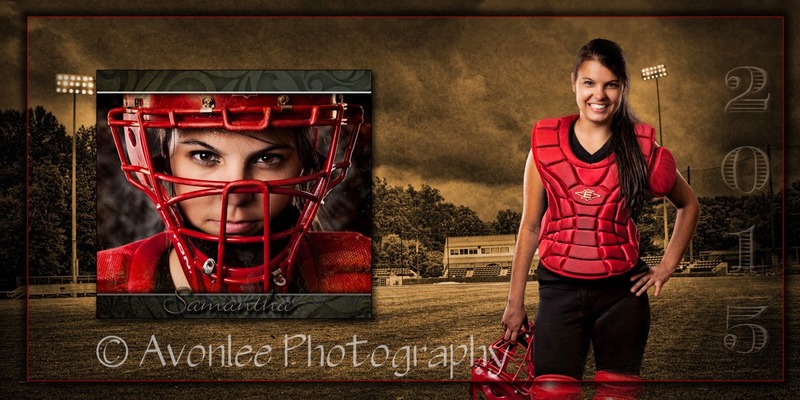 We had a great shoot at the studio capturing images of Samantha in her catcher's uniform. Selecting my two favorite images from the shoot and using Photoshop techniques, I created a powerful image that shows the two sides of Samantha. Our color lab in Kansas City, Missouri prints the image directly on a metal substrate, creating a vibrant and eye popping finished print. These sports composites are available in a number of different sizes and can be printed on either traditional paper, canvas or metal media.